Hey Cinderella! 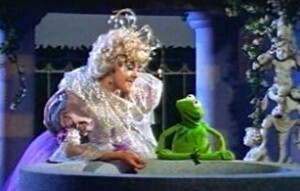 is an hour-long fractured fairy tale that was the Muppets’ first network television special and the first entry in a thematic trilogy dubbed Tales from Muppetland. 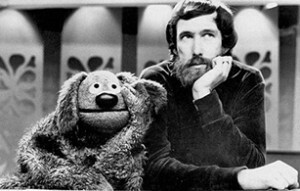 Although it didn’t air until April 1970, about 5 months after Sesame Street‘s first season debuted, it was actually filmed in 1968 in Toronto, and its history reaches back further than that. Reese Witherspoon visits Piggy on “Up Late”. 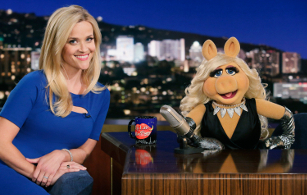 I had been eagerly anticipating Reese Witherspoon’s visit to The Muppets for quite a while. As a small, plucky, determined, blonde Hollywood star with an unexpected edge (and documented diva behavior, at times), she seemed the perfect foe for Piggy, and while it would be nice to eventually see Piggy cross paths with another female star who she doesn’t harbor jealousy or resentment towards, Piggy never has been the plays-well-with-others-who-seem-like-they-might-try-to-hog-her-spotlight type. In June 1968, Henson Associates filmed a special for public television (which at the time was called National Education Television) at Hershey, Pennsylvania’s WITF-TV, making it the first-ever Muppet special to air, although unlike most of the others, it wasn’t a narrative but rather a behind-the-scenes look at the Muppets, hosted by Jim, called The Muppets on Puppets–a rarely seen program today that won the NET Award for Best Educational Television Show of 1968, and which, thankfully, Disney included as a bonus feature on the third season of The Muppet Show DVD set. 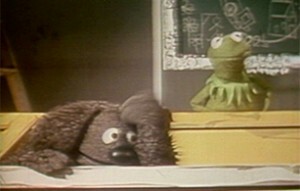 And for a Muppet and Henson devotee, it is a treasure trove.